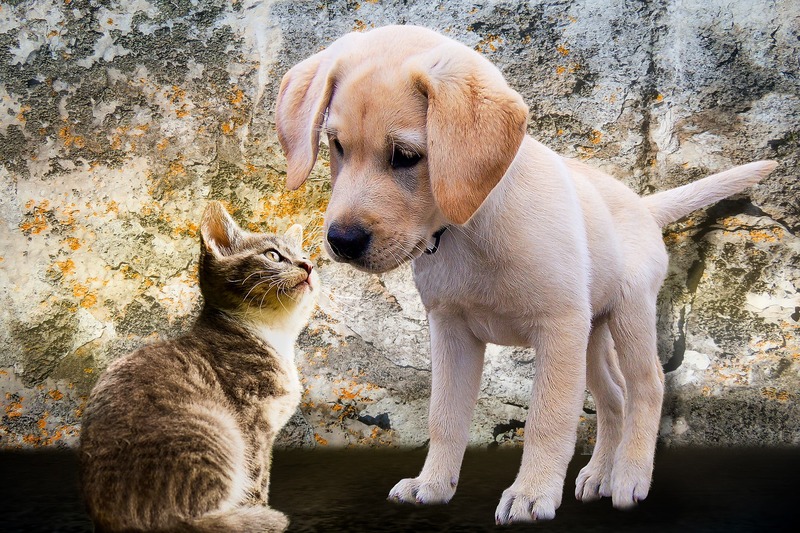 Many times dog owners feel that they want to get a companion for their dog and will seriously think about bringing a cat or kitten into the home to do this. While often this works out well there are some steps that must be taken to make sure that they are going to get along with each other. In order to be successful at this you are already aware of you r dogs characteristics but you need to have some understanding of the different breeds of cats and what their characteristics are. Some cats are more sociable and will get along with the family dog much easier than others. Also the age of the cat is going to be important. 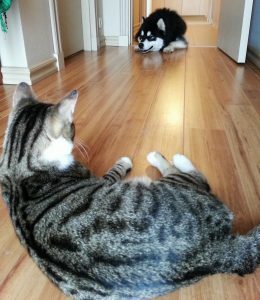 It may be much easier to introduce a kitten into the home with the dog as opposed to to a growing cat that has never been around a dog before. When making the introductions it has to be done slowly as cats are considered to be very territorial. It takes some time for them to warm up to both humans as well as other pets and in order to prevent a unfortunate situation the introductions have to be done a little at a time. They certainly should not be left alone together until one is completely assured that these two pets have made friends with each other. Make sure for the first few days that you give each of these pets their own space so that they can get away from each other when they choose to do so. The cat has the advantage of being able to climb furniture much easier then the dog does, however the cat that is trying to escape from the dog can excite the canine and a chase can occur.